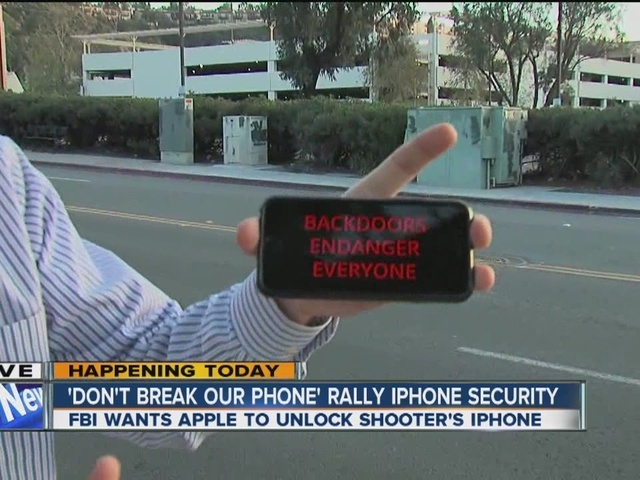 SAN DIEGO -- Rallies will be held at Apple stores across the country Tuesday, including in Mission Valley, to support the company's refusal to help the FBI access the cell phone of a gunman who took part in the killings of 14 people at the Inland Regional Center in San Bernardino. 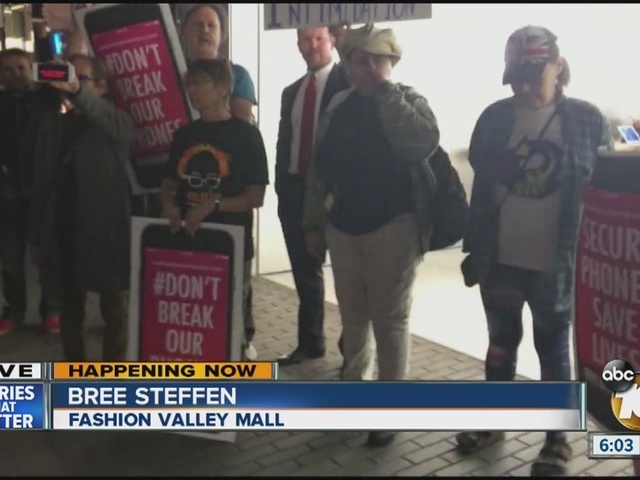 The group Fight for the Future is behind the national effort, encouraging people to rally at an Apple store at 5:30 p.m. at the Fashion Valley Mall . Other Southern California rallies are planned in Los Angeles and Santa Monica. 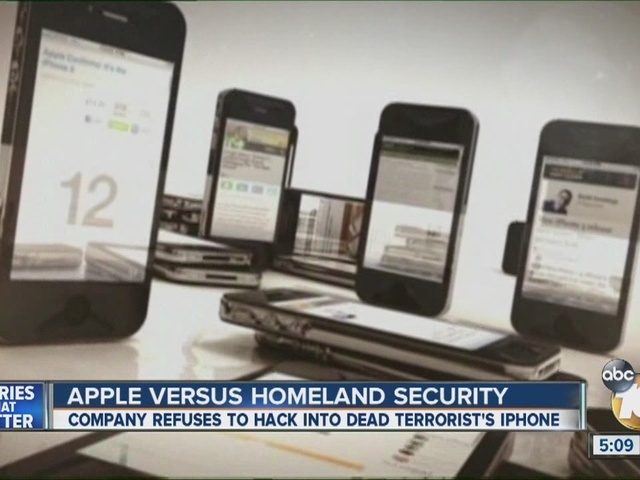 The U.S. Attorney's Office filed court papers in Riverside on Friday seeking an order compelling Apple to comply with Pym's mandate. Federal authorities argue in the court papers that Apple has the technical ability to access Farook's phone data. San Bernardino County District Attorney Mike Ramos issued a statement today saying his main concern in the dispute is the shooting victims, who "deserve a voice in federal court." "These are victims who were murdered, terrorized and in some cases, continue to live in fear," Ramos said. "It is our responsibility to assist them. We will continue to speak to them, inform them of the progress of the matter, offer them services and opportunity to be heard. We owe it to them to do everything we can to make sure justice is served." "The order requires Apple to assist the FBI with respect to this single iPhone used by Farook by providing the FBI with the opportunity to determine the passcode," according to the court papers. "The order does not, as Apple's public statement alleges, require Apple to create or provide a `back door' to every iPhone; it does not provide `hackers and criminals' access to iPhones; it does not require Apple to `hack (its) own users' or to `decrypt' its own phones; it does not give the government `the power to reach into anyone's device' without a warrant or court authorization; and it does not compromise the security of personal information."